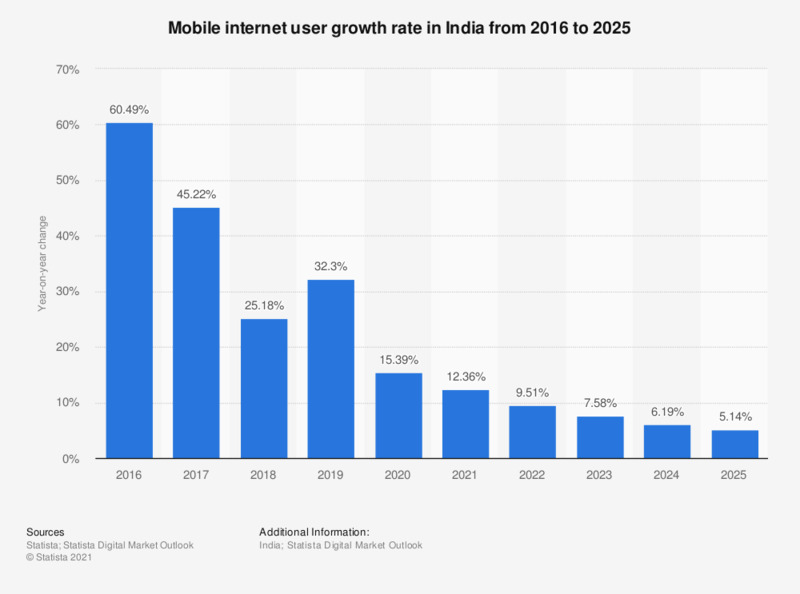 This statistic gives information on the mobile phone internet user development in India from 2016 to 2022. In 2017, the number of mobile phone internet users grew 13.75 percent compared to the previous year. The growth rate is projected to slow down to 6.58 percent in 2022. Everything On "Internet usage in the BRIC countries" in One Document: Edited and Divided into Handy Chapters. Including Detailed References. Statistics on "Internet usage in the BRIC countries"